International LT Series - From the very beginning, priority #1 for the LT Series was to design a truck that drivers would really want to drive. The most driver-centric, fuel-efficient, uptime-focused truck ever delivered. That’s how the LT Series became the most driver-centric truck on the road today. With more intuitive controls, enhanced visibility, a quieter cab, critical information at your fingertips and dozens of other smart features that help keep a driver comfortable and in control over the long haul. International also utilizes premium soft touch vinyl interior panels throughout the vehicle, which minimizes the need for hard to clean, odor and moisture trapping woven panels. Every consideration in the LT Series design came from the driver’s perspective. Only then could we engineer and build a truck that would keep a driver more comfortable and productive for the road ahead. On the road means promises kept and profits secured. So every component and system in the LT™ Series has been methodically designed, engineered, tested and retested to maximize uptime. Through extensive testing — including wind tunnel testing of scale models, full-size prototypes and coast-down testing — the LT Series delivers a 3 percent improvement in fuel economy from aerodynamics alone. 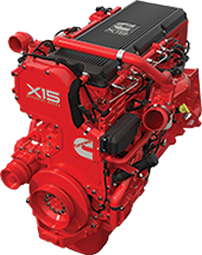 Legendary Cummins reliability is available in new X15 Performance Series and X15 Efficiency Series configurations. 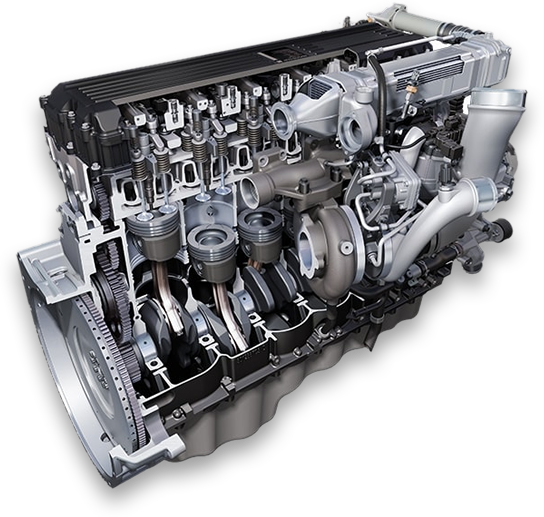 The X15 Efficiency Series produces up to 500 HP with advanced fuel- saving technology that includes dynamic electronic controls with ADEPT features, enhanced engine breathing and an optimized combustion process that leverages Cummins’ proprietary VGT™ Turbo and XPI fuel system.